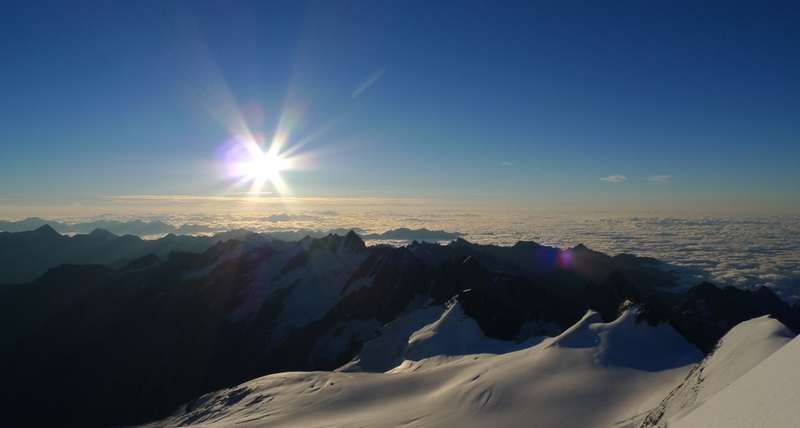 More unsettled alpine weather this week has put a halt to all our ‘big’ plans but we have still managed to utilise the weather windows as and when possible. With Duncan and Adam set to head back to the UK they were keen for anything they could get their hands on. 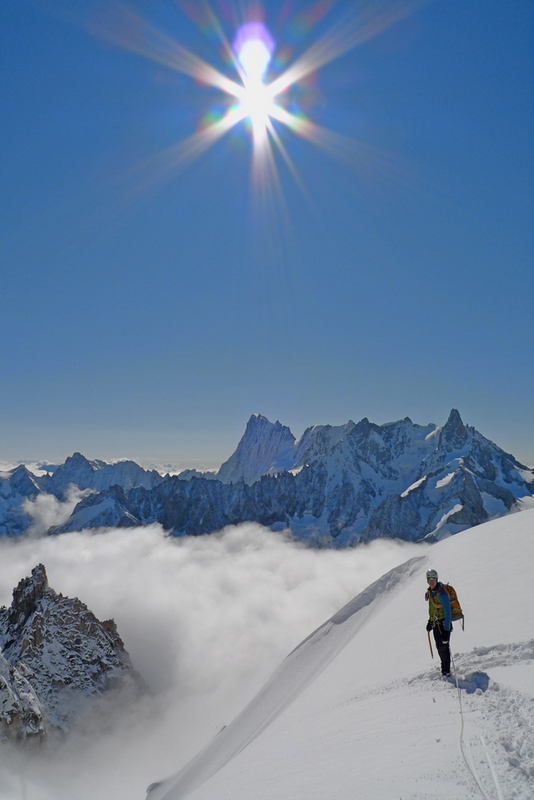 Cosmiques Arête (AD) should be on everyone’s list for their first visit to Chamonix and although Duncan and I have done the route a few times it still delivered and produced some spectacular views! 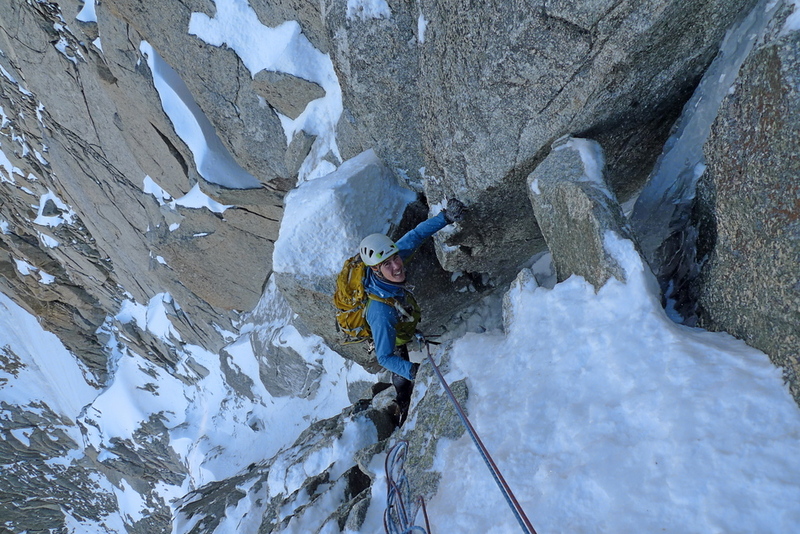 More snow/rain and high winds meant some more tedious waiting around in Chamonix. when the sky’s cleared ken and I went for a nosey up high to see what was what. 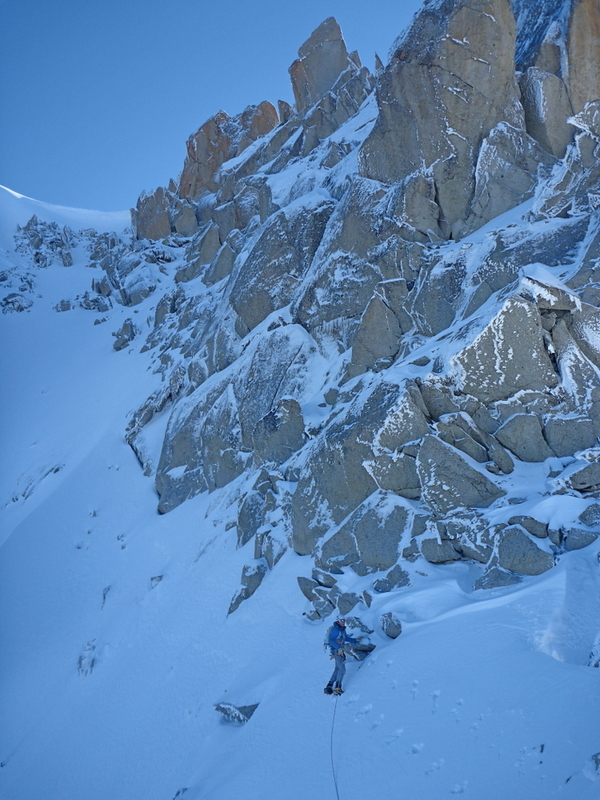 Again, we have both been on the Midi-Plan traverse (AD) before but neither completed it in its entirety, today was to be no different…….. There was allot of snow about which the recent high winds had produced some tricky conditions, we made it 75% of the way in good time breaking trail in the fresh snow the whole way. 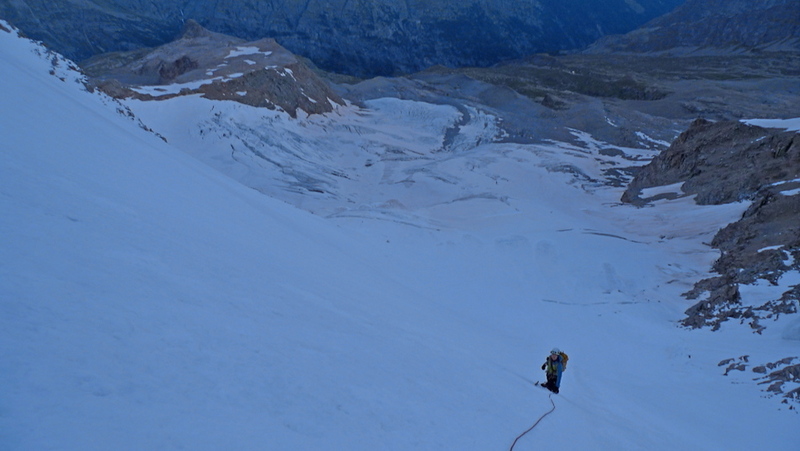 As we approached the abseil’s we were faced with a descent down a dodgy looking south facing slope, a bit of digging around we found weak layers in the snow pack and so made the difficult decision to turn back. 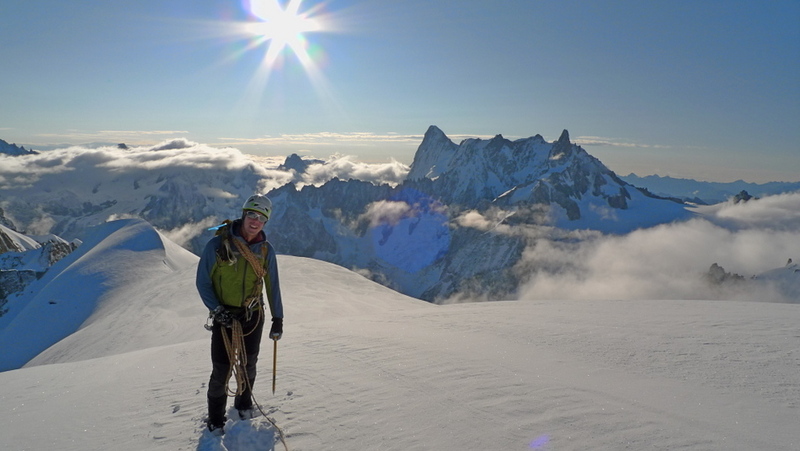 As it happens late in the afternoon two clients and their guide fell off the midi arête 800m down the north face and tragically to their deaths, a testament to the difficult conditions in the mountains today. We must have made a further 6 plans for our next weather window, each day changing our decision as again the weather forecasters just could get it right! More high winds meant getting committed to the Midi telephonique was out, a bit of rock climbing and a dash across to Italy was in order. 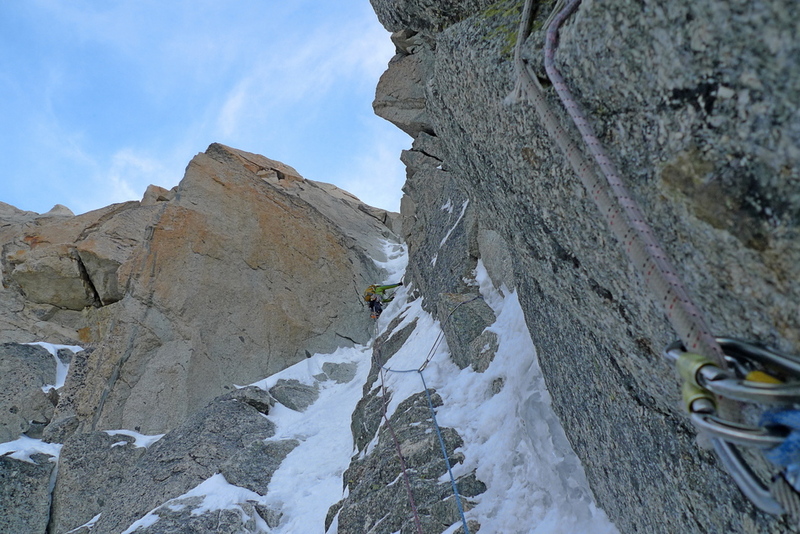 Sunday morning we made a quick ascent of Voie Frison-Roche (6a) on the Brevent. 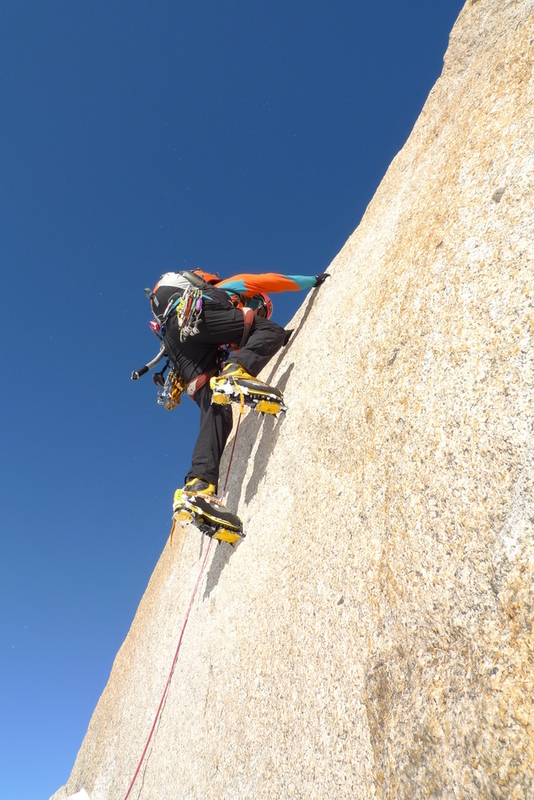 This fully equipped route is great fun, nothing to taxing and can be completed very quickly with a bit of efficiently. 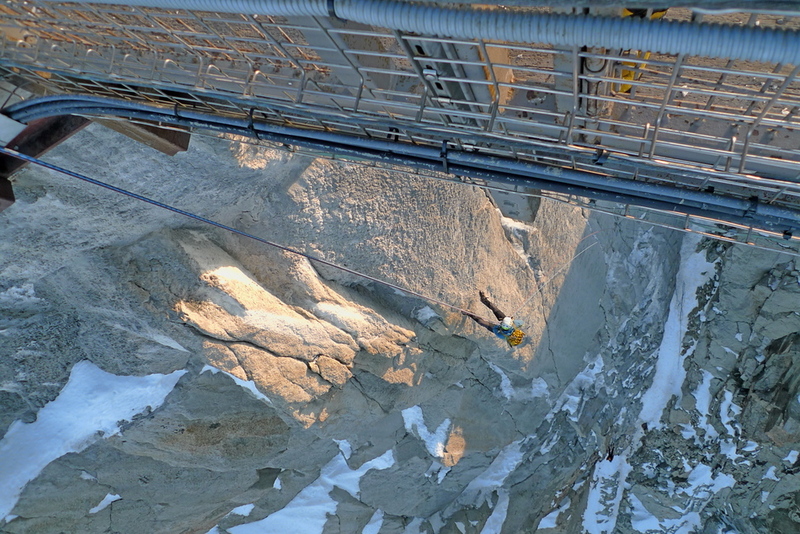 Climbing on the Brevent with Wingsuit jumpers flying past is an experience! 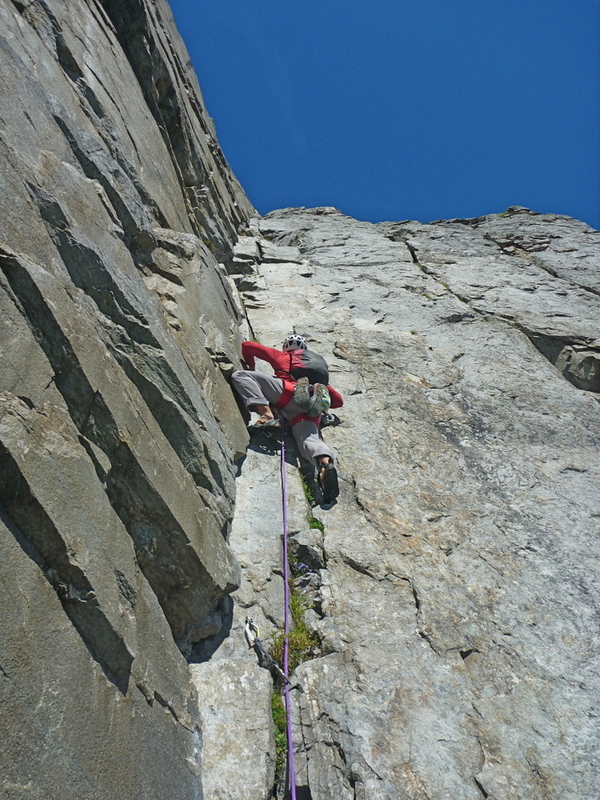 The top pitch is such fun! By midday we made tracks through the Mont Blanc tunnel and toward Gran Paradiso in the hope of a quick hit on its North West face (D). We made use of the Chabod hut before an alpine start made sure we were first on he route. 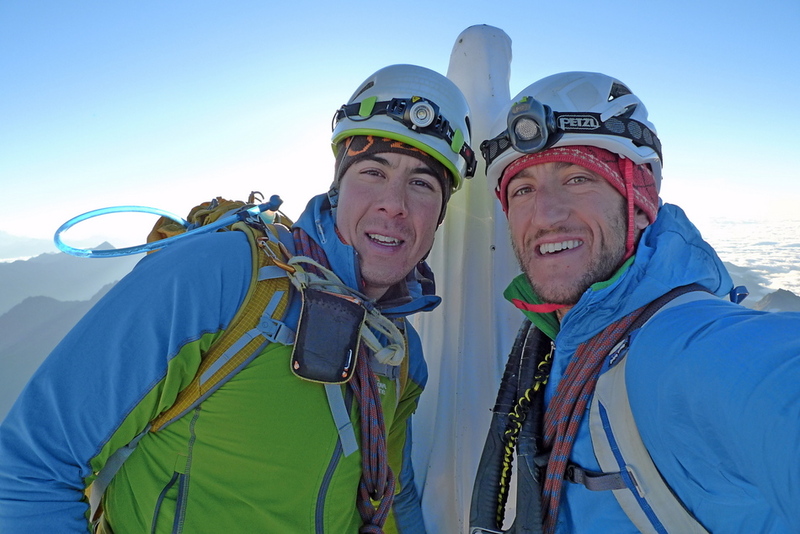 By 9am after descending the North West Flank (PD) we were back where we started. I think we impressed ourselves a little as we knocked 4 hours off the guidebook time, hut to hut in just 5 hours with a further hour back to the van. 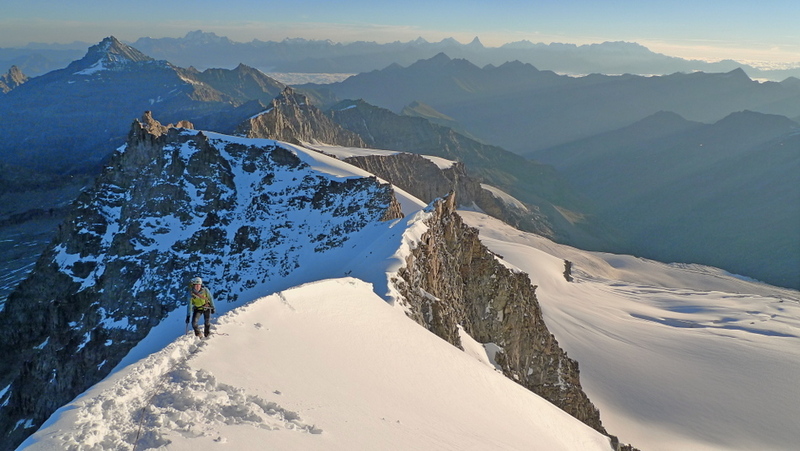 The route was fun be it a little laborious, but every bit as magical to stand alone on top of Gran Paradiso in the morning sun. 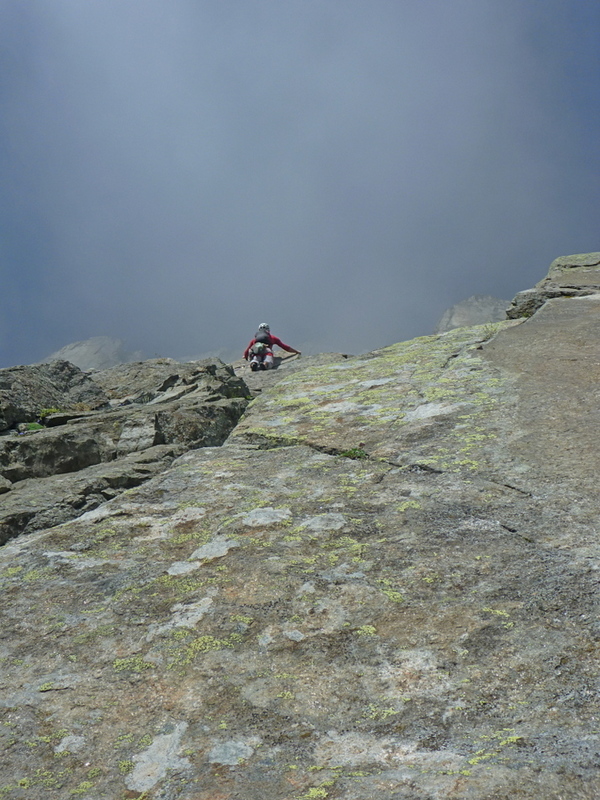 On the summit ridge after a bit of a slog….. 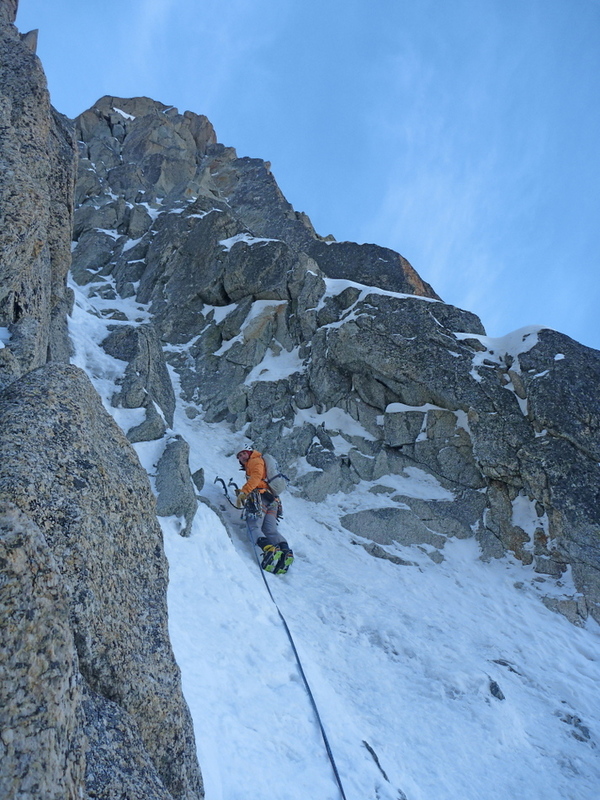 It was to be another hard decision making effort to finally decide to get committed off the Midi bridge and try one of the modern mixed routes leading upto the Cosmiques Arête. 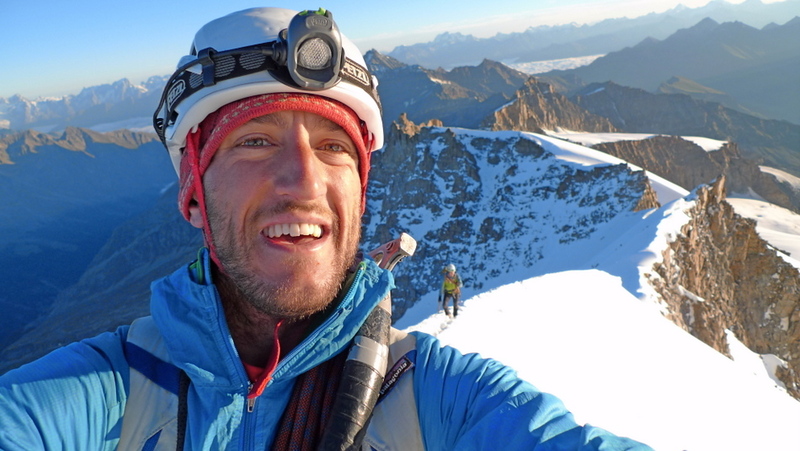 We aimed for either Vent Du Dragon or Proffit-Perroux (III, M5) which share the same start with only slight difference in difficulty. 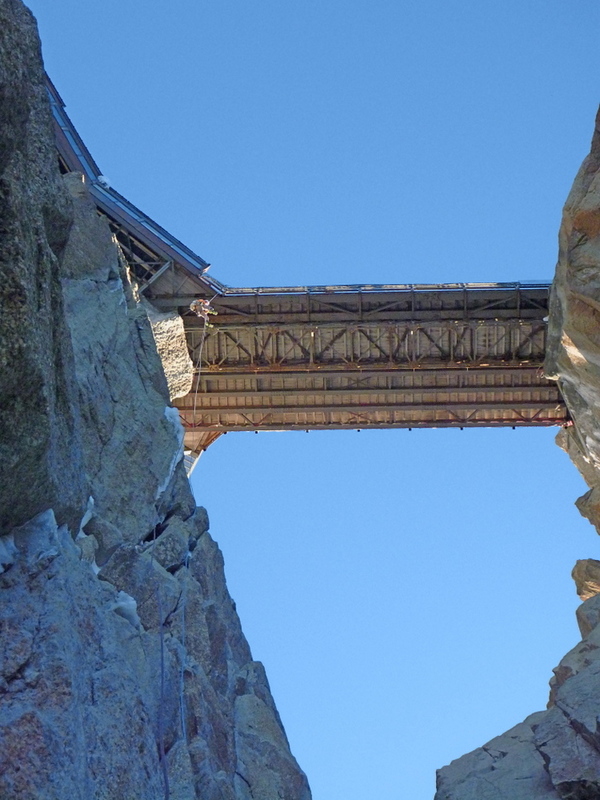 The free hanging abseil off the midi bridge at 7am was amazing and certainly got the heart pumping! 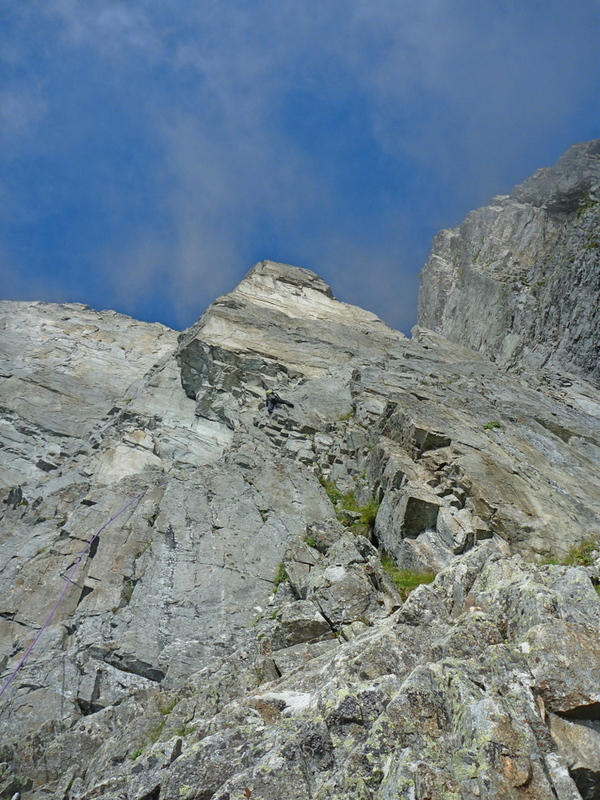 What followed were 5 pitches of excellent mixed climbing up Proffit-Perroux followed by the crux of the Cosmiques and back to Chamonix for lunch time. 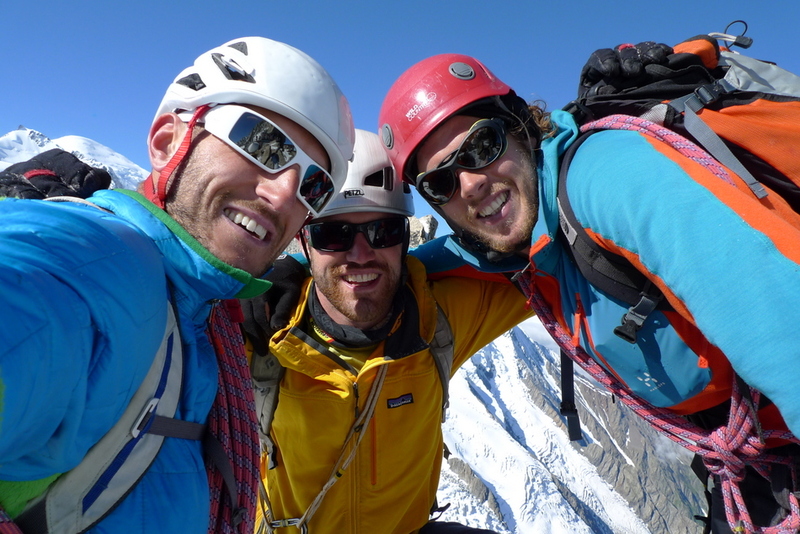 A great finale to a hard won Alpine adventure. 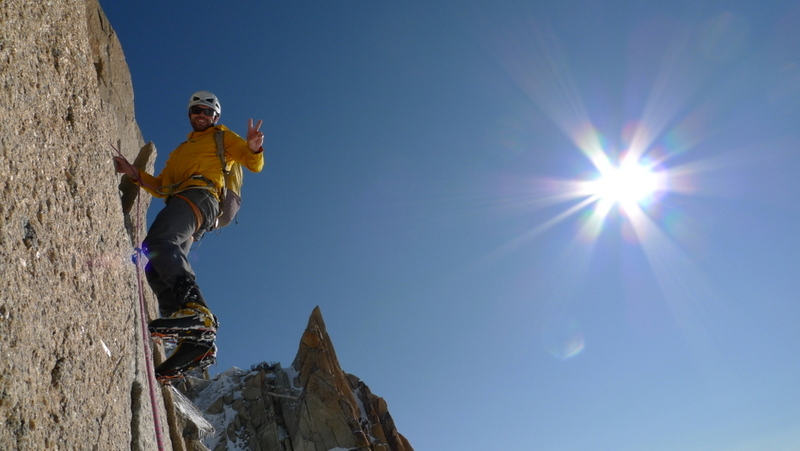 Next up – The Verdon Gorge!